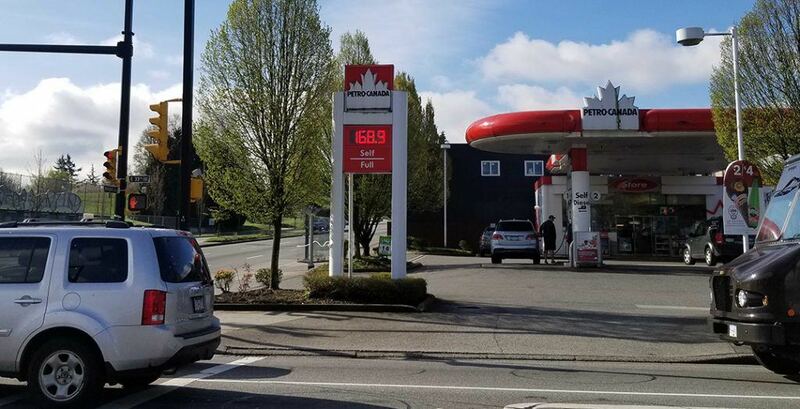 It’s a harsh day for those behind the wheel as gas prices in Metro Vancouver hit another record high — not just in the region — but all of North America. Earlier this morning, multiple gas stations across BC’s Lower Mainland showed prices of 168.9 cents/litre. Taken at Petro Canada’s West Broadway and MacDonald location (Daily Hive). Not only is it another record high for British Columbia but an all-time high for gasoline prices across all of Canada, and the continent. 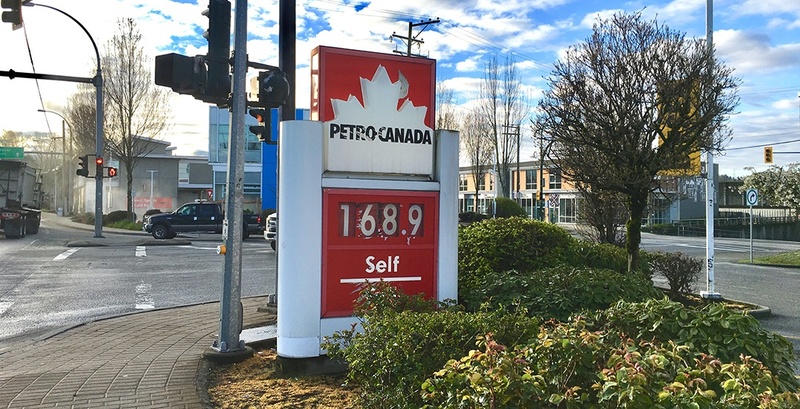 “It’s a record high for Metro Vancouver, it’s a record high for the province, for Canada, and it’s a record high in North America,” says Dan McTeague, Senior Analyst at GasBuddy. If there’s any sort of silver lining, it’s that it doesn’t look like prices will move any higher, McTeague explains to Daily Hive. Petro Canada’s East 33rd Avenue location (Daily Hive). 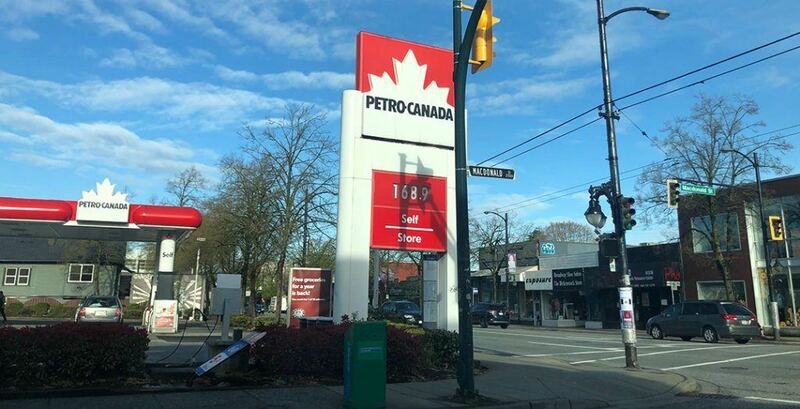 The record-high prices are leaving Vancouverites questioning — now, with the higher prices, when’s the best time to fill up? Drivers could also hope for gas to drop part way through next week. “Next Wednesday or Thursday could bring a bit of relief, maybe three or four cents, just in time for the long weekend,” he adds. As far as prices over the next few months go, however, don’t expect any major changes. It isn’t just Vancouver that’s seeing pump prices go up. Drivers across all of Canada will be seeing similar spikes, although to a lesser extent, thanks to the impending gasoline change from winter blend to summer blend. Toronto, Ottawa, Montreal, Halifax, and St. John’s are all seeing 4 to 5 c/litre increases. Regina, Saskatoon, Calgary, Edmonton, and Victoria are seeing increases close to 2 c/litre. The cost of the more expensive summer blend of gasoline will cost drivers more from April until mid-September when requirements eas up. “The switchover and the accompanying price increase aren’t always easy, but its positive contribution to the environment and health in mitigating ground-level ozone and even preventing engine vapour lock is a real plus,” says McTeague.